Had the honor of escorting this young lady to President Trump's speech in Warsaw yesterday. Her name is Basia, and she is 93. She was 20 when she became heavily involved in the Warsaw uprising (an effort of the Polish resistance home army). The Soviets imprisoned her for four years after World War 2 because she was identified as a threat to Communist rule. 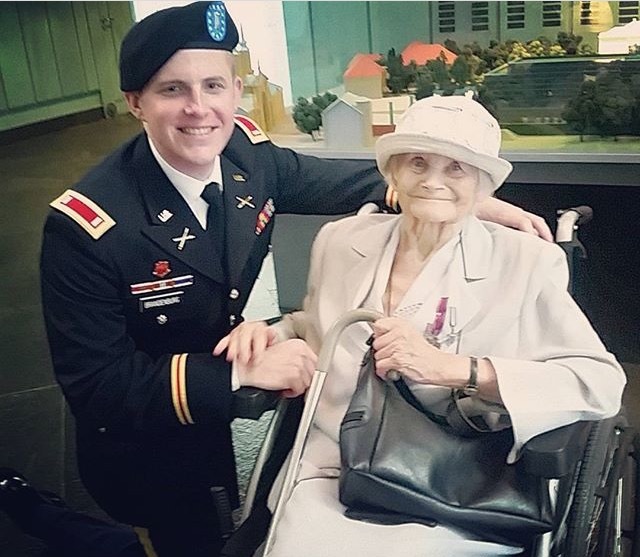 Polish veterans like this did not receive recognition for their bravery until after Poland ditched Communism in 1989, so I was happy President Trump deliberately recognized her and her friends during his speech as they sat behind him on stage. Such an incredible inspiration. The Warsaw uprising was against the occupying German Nazi army. She stood there and then afterwards again against the Soviet rule for which she was imprisoned. I loved the Trump speech, his acknowledgement of the necessity of God for the success of Western civilization.